Who's ready for Burger Records Beach Bash 2? Nothing screams "summer is here" like a trip to Coney Island. Hot dogs (bless you, Nathan's), people-watching on the pier, riding the ferris wheel for as long as you can convince the attendants to let you—it's what July dreams are made of. 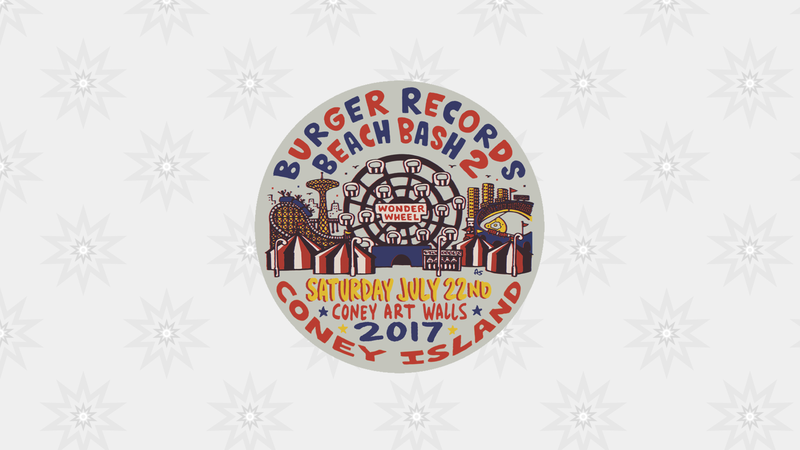 Just when we thought it couldn't get any better, this Saturday Burger Records will be bringing their Beach Bash back to the famed New York City neighborhood, and we couldn't be more stoked for what's to come. The second annual Burger Records Beach Bash enlisted some of the brightest names in indie rock for the occasion including Sunflower Bean, The Zeros, Habibi, Nobunny, Mattiel, Daddy Long Legs, Re-TROS, and more. Kicking off at noon, the all-day event will be taking place at Coney Art Walls, so attendees will be able to check out awesome street art in-between sets. Oh, and did we mention that the party will be hosted by Randy Jones aka the original Village People cowboy? HERE'S TIMES FOR TOMORROW'S BURGER BEASH BASH 2 SHOW AT CONEY ISLAND IN NYC!!! Get your tickets now at www.burgerbeachbashnyc.com!!! To top it off, the folks over at Burger Records (Sean Bohrman and Lee Rickard) will be taking over Bandsintown's Instagram on Saturday, July 22, so fans will be able to check out what's going on behind-the-scenes. Click here to get your last minute tickets, follow us on Insta to catch all of the action, then make sure to Track all the acts performing! Follow Bandsintown on Instagram Here!